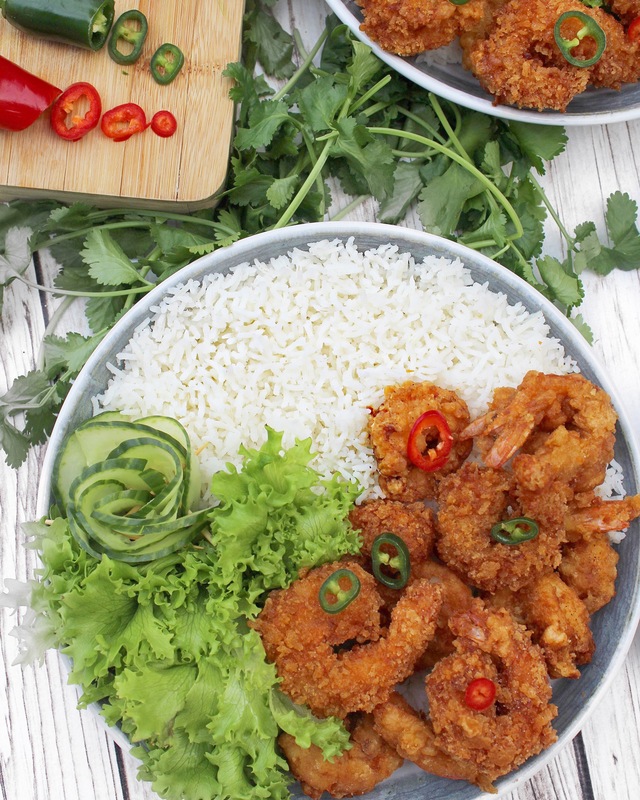 Have been putting together and trying out recipes for the best coated Prawns and this one finally hit the jackpot. 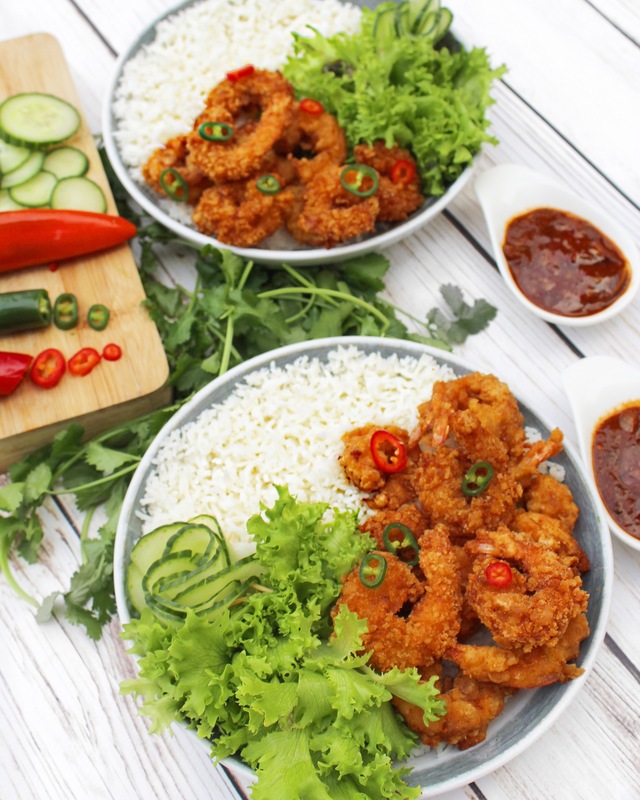 Served with rice and fresh salad, it really is a must try especially on a Friday like this. 1. In a bowl place Prawns. 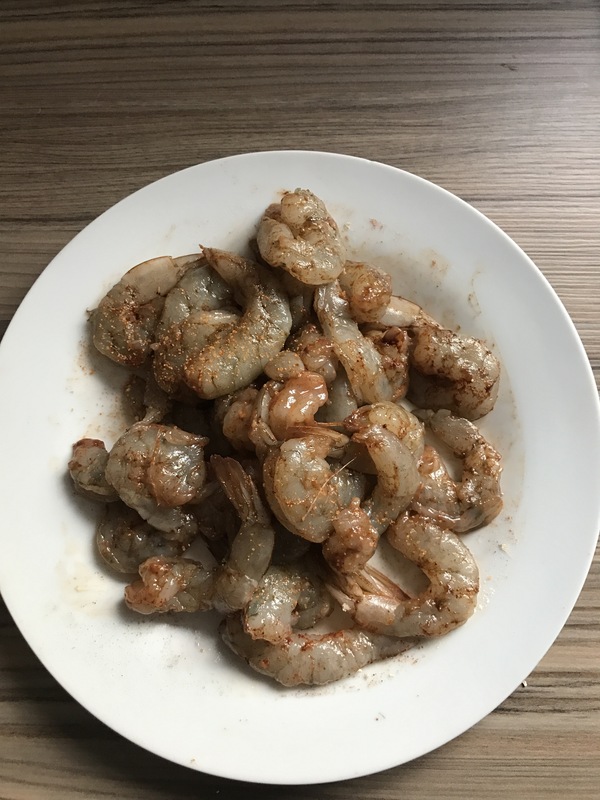 Season prawns with salt, paprika, garlic powder, and black pepper then massage seasonings in well. 2. 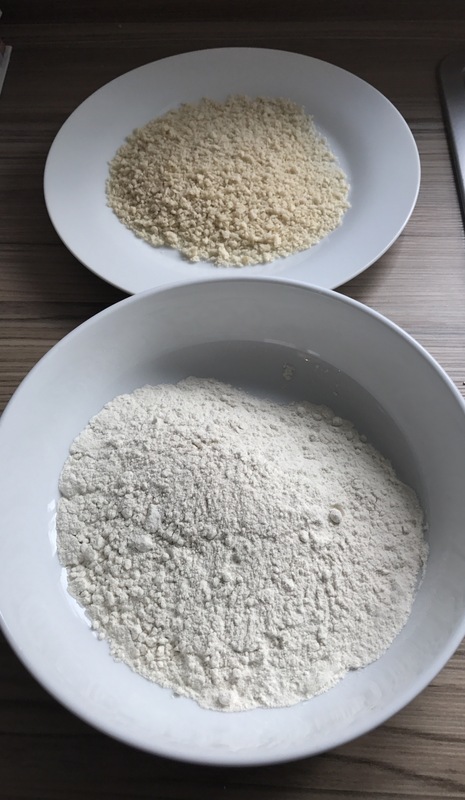 Add the whole milk to the beaten egg and whisk slightly, then place flour and crumbs in separate plates. Coat prawns with flour, then shake off any excess then dip in the beaten egg then coat with breadcrumbs generously. 3. Place prawns on a tray and leave aside for 20-25minutes. 4. In a deep pan suitable for deep frying, heat up oil and ensure its hot enough for frying. 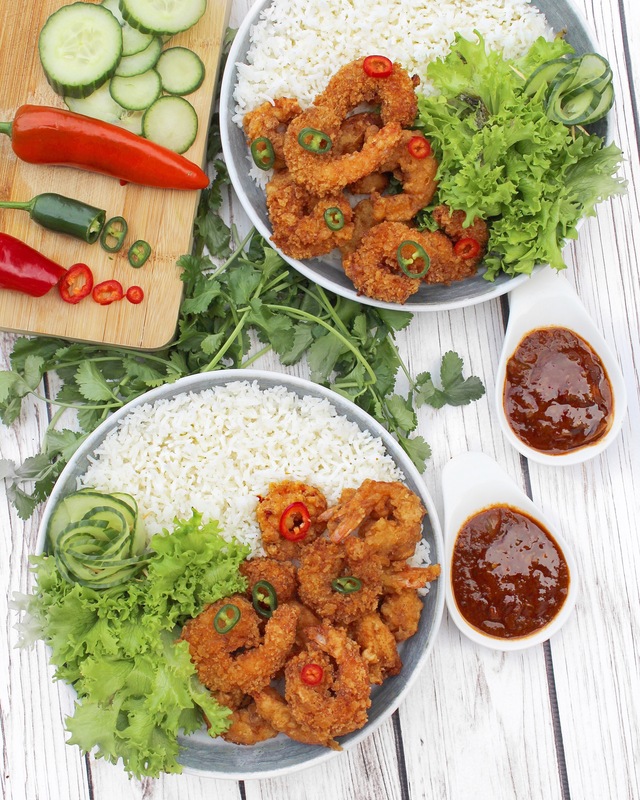 Add prawns and fry for 2-3 minutes taking extra care to avoid splashes of hot oil .5. 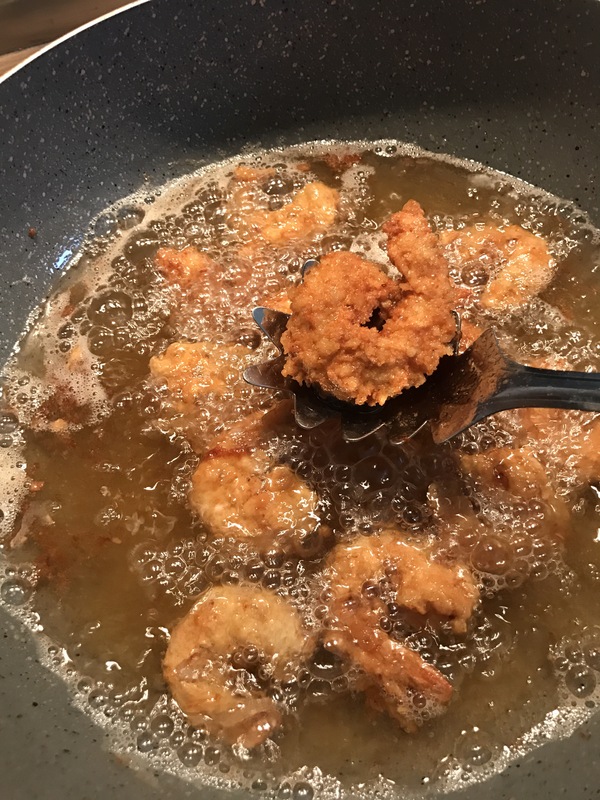 Once done, the prawns should be golden, using a slotted spoon, take out prawns and place aside on a food towel to drain any excess oil.